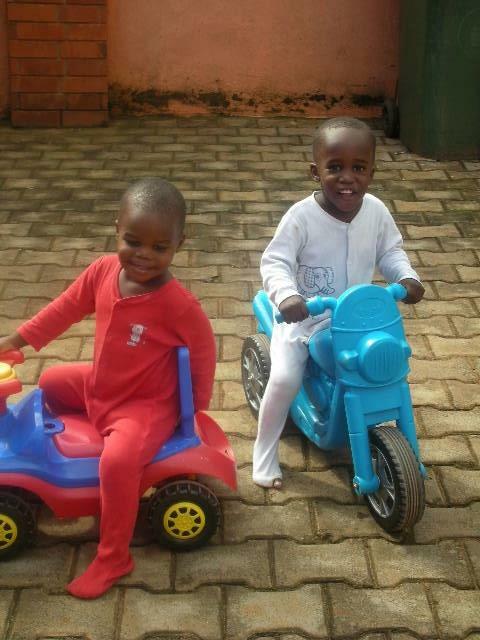 I had been meaning to set up a regular gift to the wonderful charity Child’s i for a while. I first heard about them when founder Lucy Buck spoke at a CharityComms conference. I was so inspired by the work that they do to find families for orphans in Uganda, but also by the fact that the charity was run entirely by volunteers. And these volunteers were making huge social media waves. And I was impressed and a little bit in awe. What I really liked, apart from the ease and speed at which it took to set up, is the fact that I can cancel at any time just by replying STOP. Or, if money is a bit tight one month, I can reply with SKIP to miss a payment. Perhaps not great for the charity but good for me. Another thing perhaps not great for the charity was that I didn’t receive a Gift Aid option. I do believe that by making regular giving as easy as possible for the donor, you will increase your regular giving overall and this is why more charities should be incorporating mobile giving into their donation mix. 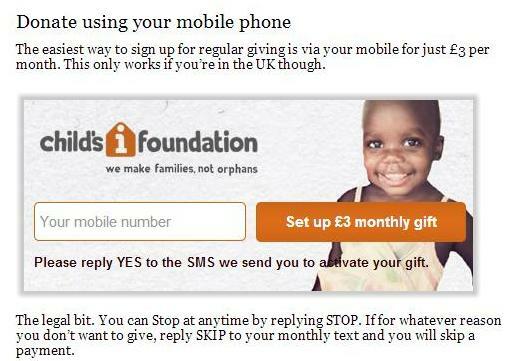 That and the fact that 60% of people surveyed by Open Fundraising, on behalf of UK mobile payments regulator PayPhonePlus, said that donating by text was their favourite way of giving to a charity. Well done to Open Fundraising for setting this mobile regular giving up for Child’s i.
Oh yes, and there was an AWESOME ‘thank you’ video delivered by text but you will just have to sign up yourself to see it.